Taoism refers to a variety of related philosophical and religious traditions that have influenced East Asia for more than two millennia. 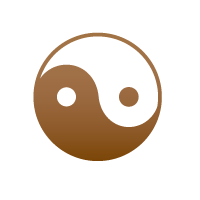 The most well-known Taoist religious symbol is the Yin and Yang symbol, a circle divided into two swirling sections, one black and the other white. The symbol represent perfect harmonic balance.